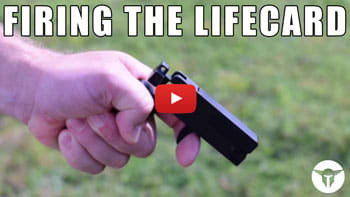 This could be the ultimate concealed carry pistol! 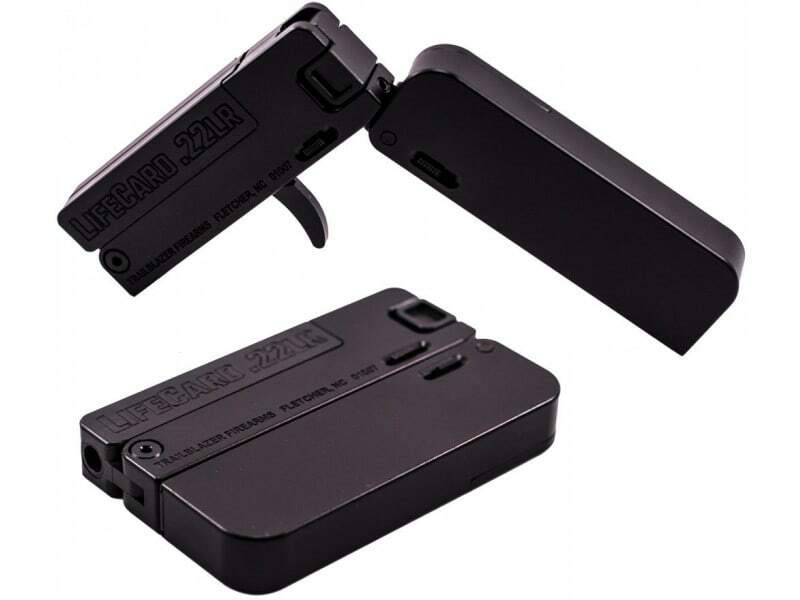 The new standard for Discreet Carry – a folding, single-shot .22LR pistol that’s no bigger than a stack of credit cards. 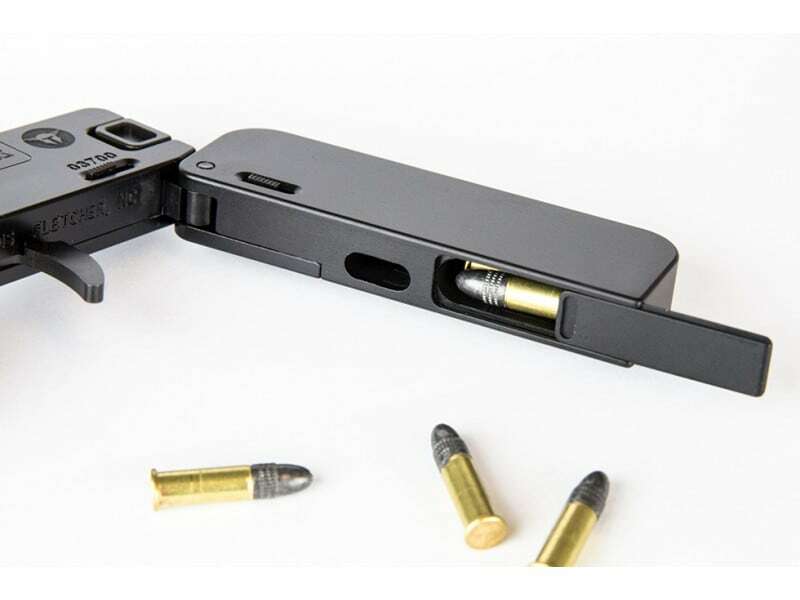 At .5 inches thin and weighing less than 7 ounces, LifeCard will be the last gun you’ll leave behind. The LifeCard will not fire when closed! 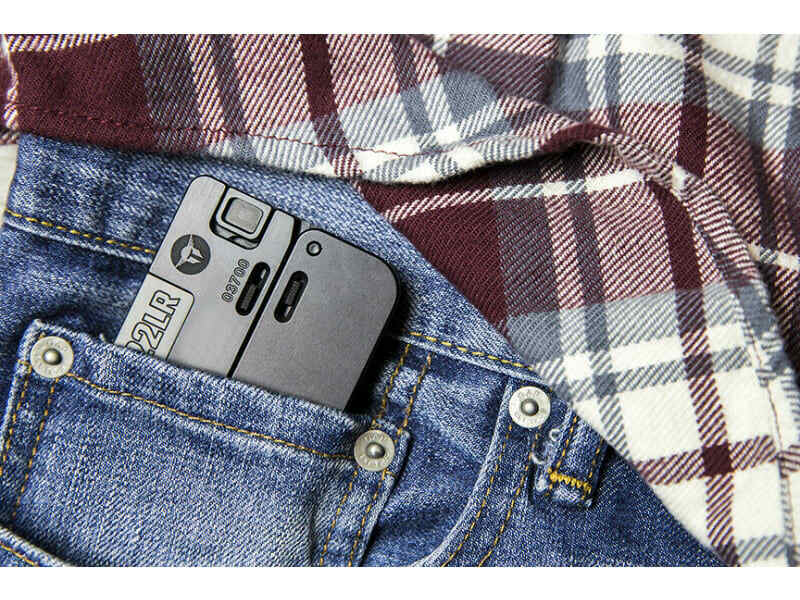 Safe to pocket carry and can be easily tucked away. Be one of the first to carry this unique new pistol! PRICE ALERT! Price too low to show. Add to cart to see sale price. American ingenuity at it's best! 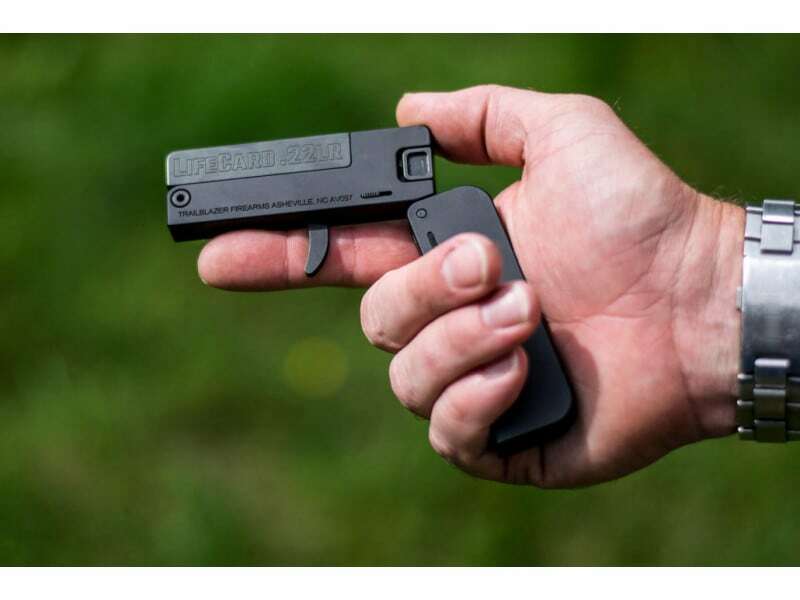 Trailblazer Firearms brings you a the LifeCard Single Shot Pistol in .22LR. 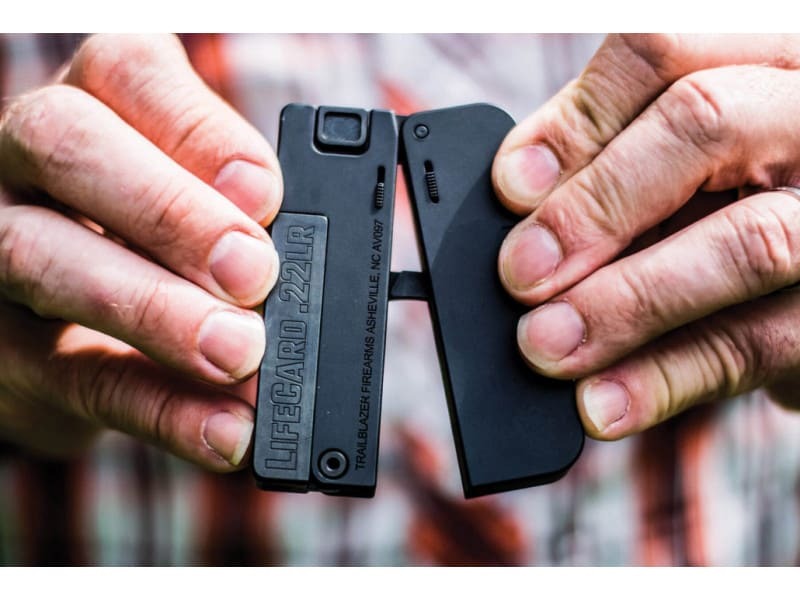 Smaller than a deck of cards, weighing only 7 ounces, with a no-snag design this is the most discreet carry pistol you will find. 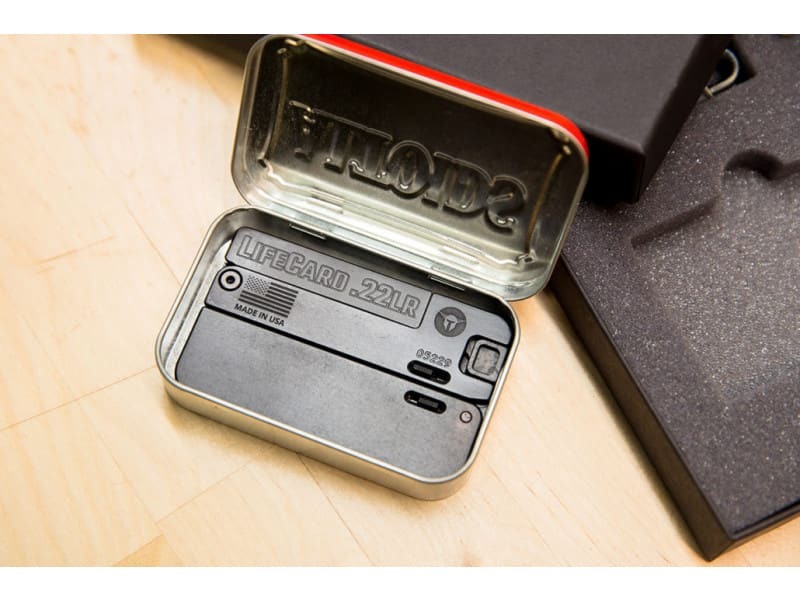 The LifeCard may be small, but it is still tough - made with 4140 Pre-hardened Steel (barrel, bolt, trigger) / Aluminum (frame, handle), a 100% machined billet, the finish is Corrosion Resistant Isonite® Steel / Hard Coat Anodized Aluminum. The sleek, no-snag design is perfect for pocket carry which is safe because this pistol will not fire when folded. 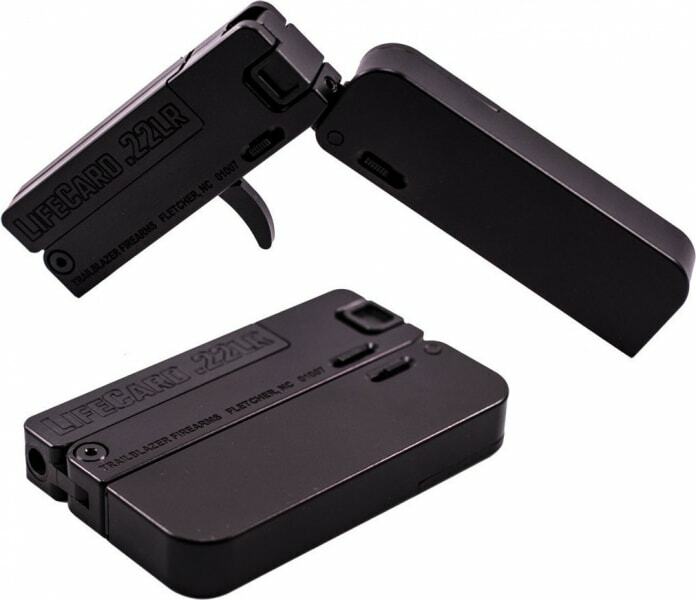 The storage space in the handle can hold four additional rounds or other small items. Safe, discreet, light, tough- everything you want in an ultra-concealable weapon. Grab yours today- they will not last! 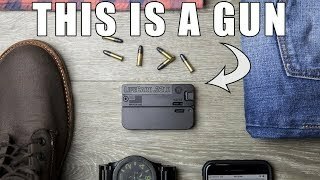 In 2010, we came up with this crazy idea to make a pistol that could fit in the smallest of places (including popular mint candy tins) based on an online article about building compact survival/utility kits. That moment of inspiration led us to talk with many people from collectors to serious gun enthusiasts and they all liked the idea, simply because it was different. After 7 years, LifeCard is finally a reality.